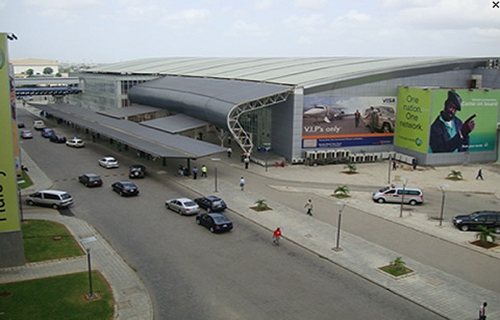 Amid court order restraining aviation unions from shutting down activities at the Murtala Muhammed Airport 2 (MMA2) in Lagos, activities at the terminal were yesterday paralysed leading to loss of several millions of naira by the terminal manager and concessionaires. This came as hundreds of passengers, who left their homes with plans to catch early morning flights out of the Lagos airport were left frustrated. The passengers were oblivious of what awaited them as aviation unions barricaded the two big entrances to the imposing domestic terminal. Members of the unions, with their placards, danced to the music of the late Fela Anikulapo to the admiration of passers-by. To cut their losses, Aero Contractors made an alternative plan by using its small terminal at the General Aviation Terminal (GAT), while others like Azman, Aero and Dana used the GAT terminal to process their passengers for airlift to their destinations. Confusion reigned as many of the passengers were not in the know that the National Union of Air Transport Employees (NUATE), Air Transport Services Senior Staff Association of Nigeria (ATSSSAN) and the National Association of Aircraft Pilots and Engineers (NAAPE) had, as early as 5a.m., chased out workers, who were on night shift and locked up entrances to the arrival hall of the terminal. As early as 7a.m., the unions had taken over a part of the major road that leads to Ikeja from international wing of the airport and Oshodi. The situation caused heavy traffic snarl on the ever busy road as many people, who had early morning flights, walked long distances, but were prevented from entering the area. Those who could not wait for explanation had to buy tickets of other airlines not using the MMA2 at the GAT. The Lagos action affected operations at the Nnamdi Azikiwe International Airport (NAIA), Abuja as some domestic air passengers were stranded. The unions alleged that the operators of the terminal, Bi-Courtney Aviation Services Limited (BASL), sacked 20 employees who indicated interest to unionise. The unions had, in a notice on Tuesday, threatened to disrupt operations at the terminal operated by BASL. Airlines affected by the action included Medview, Azman Air, Max Air, Dana Air and Aero Contractors, which operate flights from the terminal. There was heavy presence of security operatives, including police and officers of the Nigeria Air Force during the protest. General Secretary, ATSSSAN, Frances Akinjole, told journalists that the unions were compelled to carry out the action following the refusal of BASL management to accede to their demands. His words: “This issue started since May when these workers were laid off for indicating interest to belong to unions. “We met the management asking them to reinstate these workers and recognise their rights to join unions, but they refused. Akinjole denied knowledge of any court order restraining the unions from carrying out the action, stressing that what they were doing had legal backing. General Secretary, NUATE, Olayinka Abioye, said the unions had issued the notice of strike to the public to afford travellers the opportunity of making alternative arrangements.